TV-Add is a proposition currently advertising on TV. Aimed at small to medium sized businesses it is a one stop shop for brands to get on TV. It's part of the Media Curcus Group. 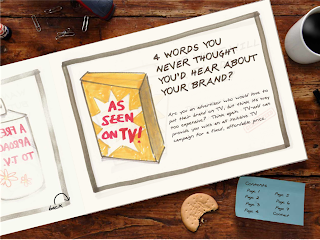 Companies get in touch with them, and for about £75,000 (minimum package) they will take a briefing, make an ad, buy the media, and get the brand on TV in front of 10m people. The aim, I think, is to make advertising on TV as easy as advertising online, by removing the traditional agency functions. They show some examples on the site (for example an ad for Elephant.co.uk) but they won't allow embedding or deep linking, unfortunately.